In a statement today, the council said that it has sought assurances from the national theatre. 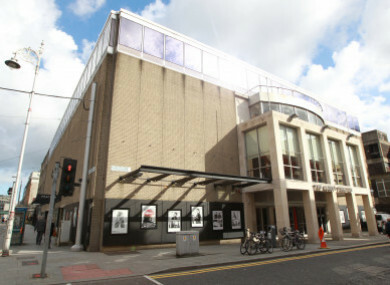 THE ARTS COUNCIL said it has frozen €300,000 in funding to the Abbey Theatre after a large number of actors and directors raised concerns about how it is being run. In a statement today, the council said that it has sought assurances from the national theatre “as to the quality of employment opportunities it provides for Irish based artists”. A letter sent to Minister for Culture Josepha Madigan about the direction the Abbey Theatre criticised the number of international productions and co-productions put on in the theatre since 2016. People that signed the letter include Aidan Gillen, Ciarán Hinds, Cliona Dukes, Catherine Walker, Eleanor Methven, Sarah Greene, Sinéad Cusack and Ingrid Craigie. “In recent months the Arts Council has sought assurances from the National Theatre as to the quality of employment opportunities it provides for Irish based artists, including remuneration at Abbey rates. The Abbey is now required to evidence the range and nature of these opportunities. Email “Arts Council freezes €300k in Abbey funding following complaints by actors and directors”. Feedback on “Arts Council freezes €300k in Abbey funding following complaints by actors and directors”.